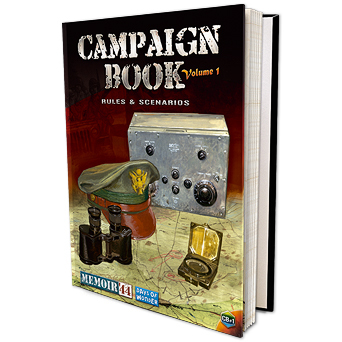 Campaign Book, Volume 1, requires the original Memoir '44 board game. Additional expansions may be required for some of the campaigns presented. This is an expansion for Memoir '44 that provides hours and hours of new life to the base game. This is achieved through 12 new scenarios and rules for playing a series of scenarios in a campaign. For me, this is the only real way to play Memoir '44, since it allows you to feel the impact of previous achievements in your current battles - you are no longer fighting battles, you are at war. I recommend this even more highly, if you already have several of the other expansions, since it allows you to use elements from those as well. Good if you have a few expansions for M44 already to get the whole experience.